Nobody said anything about having to learn to love again after loss. And I mean really learn it again. Attempting to love again the way we used to before loss will never work. So, here is my attempt to articulate what it feels like to love again after you have been devastatingly heart broken. As you know I very rarely talk about romantic love after loss. The work that I am here to do has to do with the journey back to the core self, not with finding someone new to love. It has to do with learning to trust our own wisdom again. Only when we do that then love shows up, but not the way you think. Here is my version of the truth about loving again after loss. And please bear in mind the wisdom I share with you here has been gathered throughout a decade. For those who don’t know this about me I have been remarried and love in ways I never thought I could love and be loved. But before I got there I went through some tough phases. Yep. I said those words many times. And since I am very animated as a person you can imagine I shook my head many times and moved my hands around a lot when I said these words. I meant it every single time. When someone we loved so deeply is no longer in our lives we can never imagine loving anyone else. It’s almost impossible to even comprehend the possibility of new love. You cannot possibly feel love in your heart after loss. Your whole existence is numb. You cannot imagine ever loving anyone. When you try to it feels more like anxiety than pleasure of any kind. You feel incapable of loving. And to be honest there is a part of this feeling that is permanent. Just a part though. Be ok with this phase, it has to take place. You have to acknowledge your feelings of ‘never again.’ It is part of the journey. Plus it is partially true. We will never love this way again. And that is more true than anything I know. The first moment I felt a small glimmer of love for my now husband, I immediately felt so much fear that it felt like a panic attack. I never used to have panic attacks. I thought I was losing my mind. So in the beginning of the relationship I was more afraid than in love. And because of that I was not very nice to him at first. I was very difficult, to say the least, and not very loving. It took a year or two for the fear and anxiety to lessen. Yes, you heard me right years not months. When your heart has been through so much loss it doesn’t just go back to loving. It goes into a very different place. It goes to fear, anxiety and trauma. You are going to be cold. You are going to be difficult. You are not going to be easy to deal with. And that is ok. Please know you are not becoming an unkind person. You are just learning to love again and finding your new identity in the midst of it all. Yes, you are afraid and because you are afraid you are going to act from that place. The person you are with will have to be ok with that and understand it. I am going to sound a little authoritarian and as if I am your parent. I apologize in advance but this is how I sound when I care a lot. This phase here is so important and this is where we begin to get the controls back. So here it goes: I cannot allow you to date or become friends with people who are not the kindest people you have ever met. That’s right they have to be so kind that you wonder if they are angels. If you have experienced a tragedy, a loss that has destroyed you, please never let someone in who does not make you feel like the most important person in the world. This person must also be very understanding and grateful to have you in their life just the way you are. They will have to understand your trauma, your anxiety and the temporary experience of numbness. They have to be patient. They have to be the best people you have ever met. They are the only ones who get access to your heart. When we only allow people in our lives that love us more than anyone else has ever loved us, then it also means that our self worth is higher. Do you see the connection between the two? When we let these incredible people into our lives it means that we know our worth. Anyone else who does not fit the above profile should not be anywhere near you. If you cannot find these people it is better to be on your own than to be with people who cannot love you as you are today. Even when you have angels around you to love, and be loved by them, it will never be like it was. This love will feel more independent. More mature. More like the self that was created after loss. This experience might take quite a few years to find. It took me at least 8. This is the part of this letter that I find really hard to articulate. You see ‘perfect’ does not exist in our world after loss. Love like we see in the movies does not exist in our world after loss. Love after loss is more about connecting to ourselves, and being with people that get us, and love us with all of our wounds. 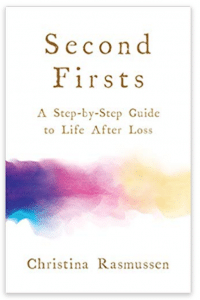 Love after loss is about having the most healthy relationship we ever had. The woman I am today would not know how to love her husband of 10 years ago. We would have to start from scratch as if we never met before. The woman I am today loves her new husband like I always wished I could love someone. Independent, with enough love, and enough detachment that allows for the most healthy relationship. I have never felt more loved, and more me, and more independent. Maybe too independent sometimes. But that comes with us after loss. Some distance and some alone time is necessary for our well being. We are no longer who we used to be. We no longer love the same. And that’s ok. As long as we find our way out of fear, and into loving the angels we brought into our lives after loss, then that’s more than enough. Thank you, I have recently noticed a man who’ve I’ve known for a while, and been so afraid as soon as I realized I cared for him. I thought it was an indication to stay far away that something was wrong but in spending time with him he is kind and brave and Godly. He also noticed when I was avoiding him and it didn’t matter to him, he wasn’t offended or anything. He just chuckled and hugged me anyway. I don’t know how to act or what to do, i’m just like a teenager not 40+! Karen your feelings are absolutely normal. It will take time but if he is a kind human being and cares about you he will be patient and understanding. He sounds wonderful. Thank you so much Christine. After losing my 40 year old husband 2 years ago and being on my own with 3 little girls, I assumed I would be alone forever. I decided to move back near my parents and sister, quit my good teaching job, and live in the country to heal. I happened to reconnect with my high school boyfriend and he has been a true angel. We just married and a lot of times I find myself pushing him away, I feel gripped with fear. It is so refreshing to read this passage because it makes me feel normal. I appreciate all that you do! My dear Arlene know that your feelings are normal. Some people wrote to me that they shared the letter with their new husbands or boyfriends so they would understand this better. How you feel is absolutely understandable and this is why I had to write this letter today. Sending you my love. I also married my high school sweetheart 5 years after I became a widow at 48. I have 3 sons. I also quit my teaching job where I lived, and got a job teaching at a smaller district when Gary, my high school boyfriend, and I got married. 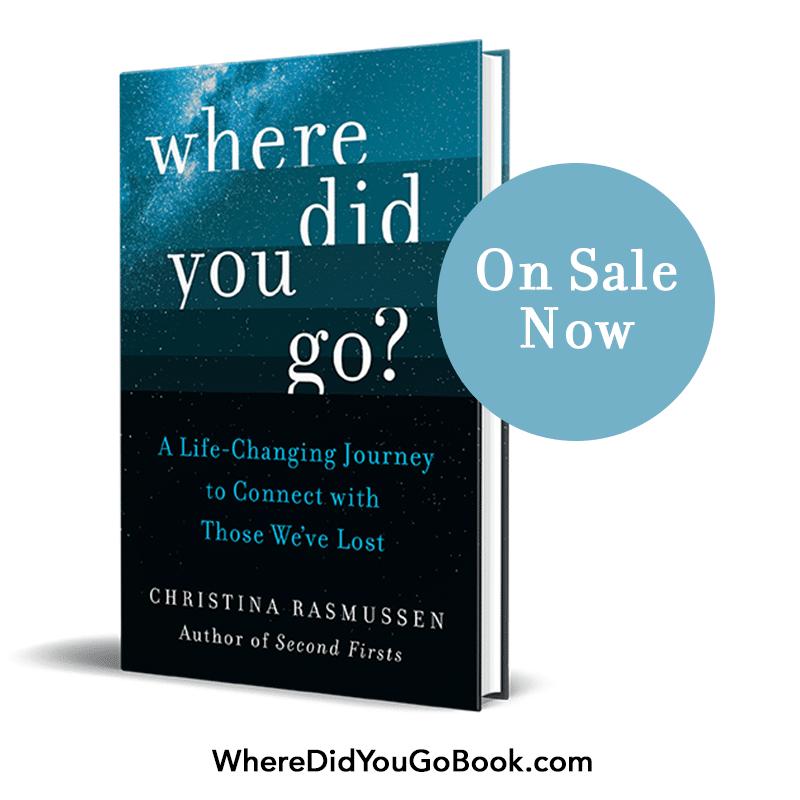 I experienced everything that Christinia experienced, even the panic attacks. I’m 60 this year, and I’m so glad that I married my earth angel. I even wrote a poem where I refer to him as an angel. I so see myself in this situation right now , everything you r saying is so true going through it all at this moment .Someday’s I think I’am losing my mind . The up and down, the grieving is so severe , the hole in my heart fells as it will never go away.I cry ,as I read this knowing, I’am not losing my mind, that it’s a normal process . My husband passed 2 years ago, someday’s it feels like yesterday . The harder I try to move forward the harder it hits me . My whole world is different, never to be the same , it makes me very sad . Thank you for sharing . Diana please know that this road is long it took me ten years to be able to write this letter. Know we walk with you every single day. It has taken me 10 years to even consider allowing love back into my world. I never expected a second first love and that was fine. Last June, a man I knew in grade school (45 years ago) contacted me. He had attended our 40 year high school reunion and said he was more curious about those who hadn’t shown up than those who had. He also he had wondered of my life many times in the 20 odd years since his wife died. GoodnessGracious. In grade school I had such a terrible crush on him, I learned to write Cyrillic so I could put I Love Burt on stuff and folks wouldn’t know what it said. Yeah, I am still that goofy. In the past 9 months, I have experienced all you said. There is not a word that doesn’t fit in my situation. This man is the angel person you wrote of. He ‘gets’ me. He loves the me who rose from the depths of grief to become independent and self-assured. He doesn’t expect perfect (tho he says I am). So much truth in this message. Beautiful……. I will be the first to admit that I jumped straight way into an unhealthy relationship four years after loss. At the time I met the man, I was severely broken and lonely. I attracted the wrong kind of person. I stayed in the relationship for three years while enduring verbal abuse and neglect – it nearly took my life. A month ago, I saved myself and walked away. It’s only now that I realize the importance of self love and finding happiness on one’s own before searching for love elsewhere. We attract the kinds of people who mirror how we feel about ourselves. A lesson learned the hard way. Me, first. After reading your fantastic message i feEl conpelle to write my thoughts. I am between phases 1 & 2, nearly 3 years on from my loss however am beginning to realise that I don’t want to be on my own forever. Im stuggling to see how it will ever happen when i cannot stop comparing others to my first love. Thank you for giving me the confidence that I will get there eventually. I agree with your letter except for the part about it taking so long. Not all of us have to wait years and years. My angel is showing up VERY early. He is wonderful. My only struggle is the “is it too early?” question. I hate that everyone just says to “take it slow” when they find out. I feel like life is too short for slow. He doesn’t expect me to be over my grief, but help me through it. I have a chance to find happiness without the years and years of being alone. Should I question it or jump in feet first? This is such a weird place to be in. Everyone’s grief and healing journey is different. I met my very soon to be husband 3 months after his wife and high school sweetheart passed away from lung cancer. We started dating around 6 months. I told him I always expect him to love his late wife, and that has nothing to do with his ability to love me. It’s definitely been a challenging journey but we both knew it was right, and honestly believe she brought us together. Many people said to him and behind his back that they thought he was moving on too quickly. He will never”move on” but everyone at done punt needs to move forward. Don’t let people judge you. Or at least expect that some will but what they think doesn’t matter. You are the only one who knows the truth of your heart and if you have an angel willing to take this journey with you no one has the right to stop it. Thought I had found the right angel after losing my wife to cancer. All seemed well, for awhile. But then, I guess I got too honest and allowed my heart to get away and it all blew up. Made me realize that this: “If you have experienced a tragedy, a loss that has destroyed you, please never let someone in who does not make you feel like the most important person in the world.” is maybe the most important part of the message. Whether it happens 3 days, three months, or in my case three years or even more, if they can’t handle what you are now, and recoil from your clumsy attempts to move forward, then they are NOT worth it. Sad today, but will be happy and back on course tomorrow, I promise. No waiting rooms for me, any more. Thank you!! I lost my beautiful wife of 19 years to Breast Cancer nearly 5 years ago. We have 3 lovely kids GGB. I made myself a deal not to let anyone into my life that wasn’t going to be less than perfect for me. Although i dearly missed a hug from my wife i wasnt ready for another woman in my life until one day, like a light bulb moment i decided it was time to put myself out there. Nearly 2 years ago i went on my first date with the most beautiful caring perfect woman. My angel had appeared. Do you know what is mind boggling? My Angel is also a widow with 3 kids GGG. Neither of us knew when we met for our first date. How does this happen? What is amazing is that we both get it!!! We understand each others highs and lows. To love again after loss is like taking what you had and fine tuning it. You’ve got the chance to improve on all the mistakes you made first time like not talking enough or sharing my feelings. Its not like the first love which was at the time perfect, its different and beautiful because we both have a heightened awareness due to our loss. I do want to love my Angel for the rest of my life, im so lucky to meet her. My Angel lost her husband in the same year as i did. Although its been easy to love her, it had been difficult being accepted be her girls whom i have told i will never replace their dad. Mainly 16 and 13 yrs old. 9 is great. They are all still grieving. I pray they find peace soon so they can accept me and my 3 kids in their life (what ever that looks like). I follow your blog to help me to best understand my soon to be husband’s journey. He lost his first wife (and only real relationship ever) 3 years ago. There have definitely been challenges but it’s so important to understand that everyone must take their own journey. Thank you for always providing some insight into the other side of my life situation. I really feel it helps me to be a better partner. Spot on! I went through these phases post traumatic divorce, and I ended up with one of those incredible Angels – the kindest, most authentic man I’ve ever been with, who had also gone through his own loss. Our relationship, as you say, is organized differently emotionally with much more room for our individual selves and continued development. I feel so blessed and taken aback. It’s been one of the gifts of loss that took a long time to grow toward. This came at a great time for me and my girlfriend. She went through a loss about 10 years ago. Although I could never fully understand what she has gone through, I try to be supportive and understanding. I love her very much and our love together is growing on a base built on trust and honesty. I like to think I am her Angel. I only want the best for her and she is getting my best always! She will always always be my baby. I lost my husband next month will be a yr. I want to be loved again but I’m so scared. At first I did say I would never remarry but now being by myself for a yr now. I have changed my mind because I am young and I do want to be married again. We were married for 14 yrs. how long do u think someone should go back to trying to find someone to date again. You can be back trying to find that special person right away if you feel it. It has almost been a year since I lost my wife and I crave the companionship and a relationship I miss. I love my wife and I also have a renewed desire for love. It may be the guilt of not loving my wife enough while she was alive or it is simply that I have learned what loving with the whole of your heart means. It is very scary and I currently hurt, pushed a beautiful woman away. My fear of opening up and a new reality stopped me “cold”. I didn’t want to see anyone. I was upset with the world and my situation. I hated seeing couples holding hands etc. I am now trying to restart our lost relationship. She has a lot in her life going on also. Things we forget when we are new to the dating world. We aren’t the only ones with a story and a past life. Ours will always be more traumatic that the person who was divorced. This is the tricky waters part for a man. I am not sure how it is for a women. Either way you can only embrace it now. Go slow! It is not easy but put yourself out there. You will have many new feelings with more intensity. Depression, super euphoric highs, tingles and LOVE. Know this, there are so many people out there looking for love. You will find the one and it will feel amazing. Almost 3 years ago now my fiance was killed in action while serving in the military. It has been awful moving through this, and honestly, since there was little to no closure, I have only in the past year truly begun to process it and grieve. I’m at the point that people around me are trying to say I need to put myself out there again, but I honestly don’t know if I believe right now that loving anyone again is possible. That’s how I found this page. It’s still incredibly difficult, and I don’t know how to handle things still, but I’m glad to see I’m not the only one who sees it like this, and that maybe it will finally get better for me too. i lost my fiance very unexpectedly a year ago today- along with that his estranged family made sure that i also lost the home we shared and the comfort of being in a place we shared. it was hard enough – I had to learn a lot of what you said.. that i am NOT the person i was before Kevin – although i tried to be. I was NOT particularly the strong person everyone thought id be.. ive struggled – made mistakes… because i was trying to be what i was… i started looking at others and thinking they have big shoes to fill. they do…. I am afraid i will never love again.. or that no one would love me again… and its because I can never 100 percent let go of him.. The next person will have to truly understand he is a part of who i am and i hope they will honor him with me… We were together for 7 yrs.. and our wedding would have been next month. so many things wont happen. and i feel unsure…. my confidence in me has waivered… and the strength i recieved from him is gone… Im working to get these back.. and i just hope at the young age f 53 that love will find me again… for how can we truly live without it?? I was reading this as I have bee I a relationship with a widower for the last year. It has been the most amazing year full of love and kindness. But he has recently pulled away saying he feels torn between a life with me or dedicating his life to his children’s and grandchildren who live a broad. I am devestared but equally can understand his pain and want himtobe happy. We will ever experience live in the same way again because we both come with a life time of learning and responsibilities that make us who we are. We have to accept abs build around these. Only then will we find.peace abs then love will follow. i am here to share out my testimony on how i got back my husband, i am a lady with 2 kids i am from united state, my husband leave me and his kids for about 9months i go true a lot of pain i do all i could to make him returned to me and to his kids but nothing works out. it was really a stressful period to me because i could dint go true the heartbreak. i was told to get a love spell doctor contacted to help me out which i did i was lucky to get DR.COROBO Contact who was able to help me out, it cast up a love spell that bring back herry back to me and to his kids thanks so much DR. i really appreciate what you have done for me. here he his contact if you may required for it by solving your relationship email. [email protected] call whatssap +2348101571054 bye. My husband left me because I have lived with Herpes Simplex Virus for two (2) years and I’ve been praying to God for divine intervention for my healing and for the return of my husband. But each time i go for test the result remains positive. I then stopped going for further tests and i was directed to Lord Zakuza by my friend in Africa and i got connected to the Doctor and i dived at the instructions that was given to me by Lord Zakuza and he assured me that the virus was going to leave me within 7 days and that my husband will be back too. I believed and had faith in him for i really needed his help. Lo and behold i went for test after 7 days and for the first time, the result was NEGATIVE and immediately, i got a call from husband that’s he’s home waiting for me. I’m so thankful to God for using Lord Zakuza to save my life & my home. For urgent help of any type, contact Lord Zakuza now via Email: [email protected] or WhatsApp him on + 1 (740) 573-9483.